A short test about numbers (1-20). Pupils should recognize the number which are written, and choose the correct answer among the three posible options (a, b, or c). This downloadable worksheet is recommended for elementary school students, kindergartners and nursery school students and adults at Beginner (pre-A1) and Elementary (A1) level. 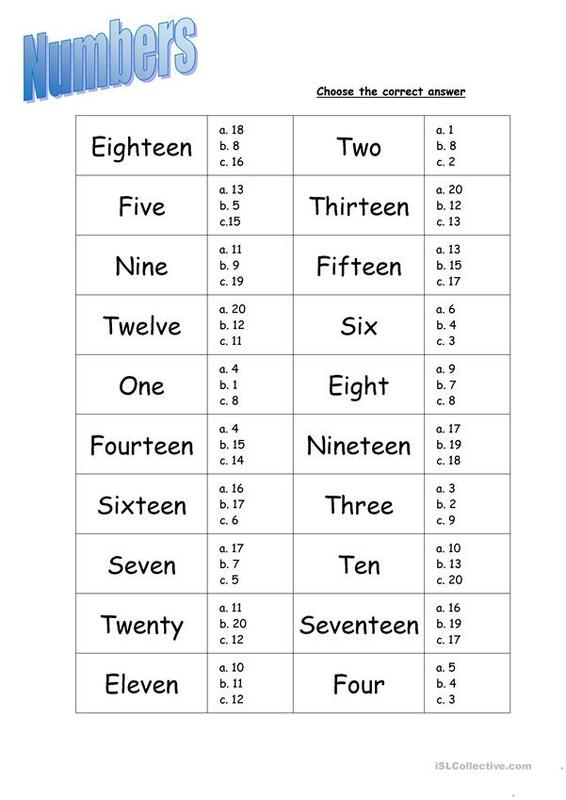 It is valuable for revising Numbers: Ordinal numbers in English, and is excellent for developing your students' Reading skills. It is about the vocabulary topic of Numbers.